This crunchy, sweet but hardy granola is amazing on your favorite yogurt! Vanilla yogurt is a fav in our household, but it is delish simply with almond milk too. 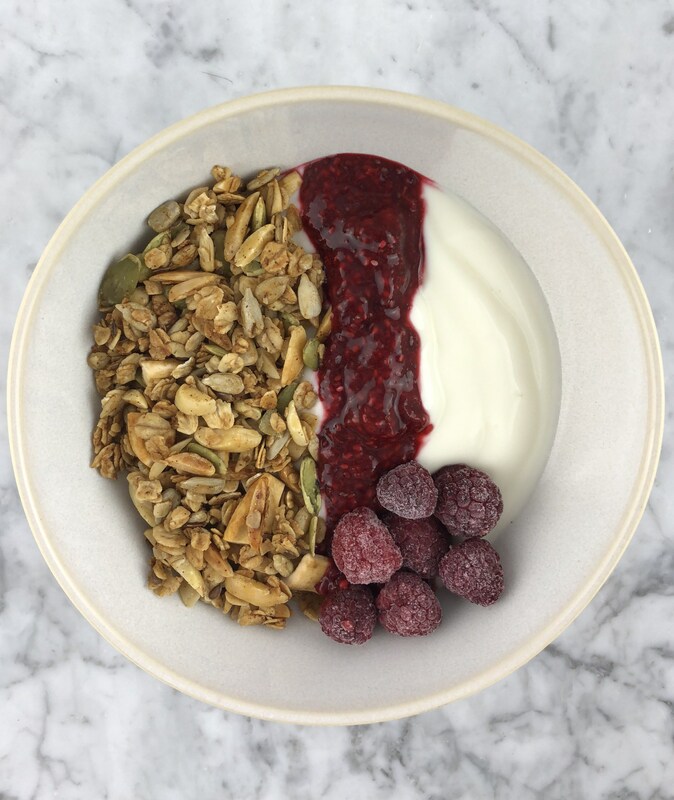 Its so versatile you can use it on any breakfast or snack you please and lets not forget yummy Asai bowls… It’s so hard these days to find just a simple granola in the market without so many additives. This recipe is sweetened with a little honey and coconut sugar, so it is super healthy and still delicious! Is There Such a Thing as a Stress-Free School Lunch?